Australian boxing takes centre stage this week as former welterweight champion Jeff Horn squares off against national icon Anthony Mundine. Dubbed the ‘River City Rumble’ it’s all or nothing as the new-era of Australian boxing takes on the pedigree of the past in a bout that’s sure to go down in the nation’s sporting history. Horn, the former WBO welterweight champion, is coming off his comprehensive defeat to American Terrence Crawford having catapulted through the sport’s ranks with his historic 2017 victory over boxing legend Manny Pacquiao. Mundine meanwhile comes into the fight off a win earlier this year over Tommy Browne, the 43-year-old dominating his opponent by way of KO. As usual with any Mundine event, the pre-fight antics have been in full gear with the veteran dancing around the meekly mannered Horn. If there were any fears Mundine was only showing up for the paycheque he did his best to put them to rest in the pre-fight press conference, going off in a trademark tirade. “They’re all watching. They’re all watching me, baby. I’m the show, you know what I mean?” he said. “I’m the show, I’m the main attraction. He’s boring. He’s like watching paint dry. “I’m the character. I’m the personality. I’m the man that transcends sport, you know what I mean? That’s me! “And you want to see the legacy of that on Friday night. 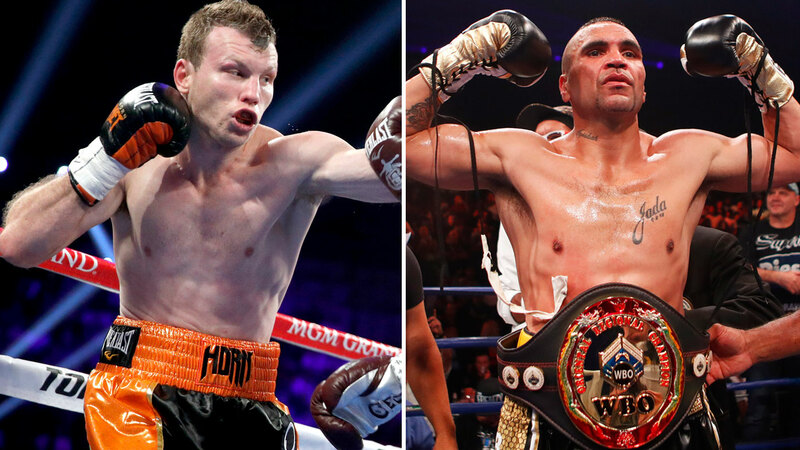 Jeff Horn vs Anthony Mundine, The River City Rumble, will take place from 7.30pm on Friday November 30 at Suncorp Stadium in Brisbane with a full house expected for the bout. The stadium is also the site of Jeff Horn’s historic victory over boxing royalty Manny Pacquiao. Horn vs Mundine will be fought over the championship regulation 12 standard rounds. The fight will take place at 71kg. Horn has predominantly fought at 68kg, while Mundine fights anywhere from 76-80kg. The pair have agreed to fight at a catch weight of 71kg with Horn’s camp demanding severe penalties if either fighter fails to make weight. Mundine will give up $350,000 for the first kilogram overweight and $500,000 for any further after that. There are two belts on the line for when Horn and Mundine square off at Suncorp. The pair will fight for the WBA Oceania middleweight title and WBO oriental middleweight belt. The WBA Oceania belt is currently vacant, while the WBO Oriental belt is held by ‘The Man’ Mundine himself which he claimed earlier this year with his victory over Tommy Browne. 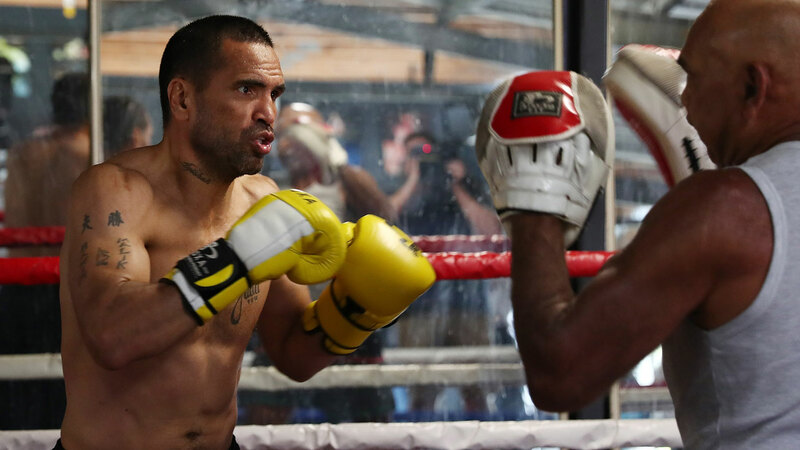 Anthony Mundine boasts an impressive professional record of 48-8. Jeff Horn holds a professional record of 18-1-1. Fans wishing to watch the bout can purchase MAINEVENT pay-per-view with the fight costing $59.95, with coverage beginning from 7:30pm.